Now, as an experienced homeopath, it is “science” that is biting me on the bottom. I know homeopathy works, not only because I’ve seen it with my own eyes countless times, but because scientific research confirms it. And yet I keep reading reports in the media saying that homeopathy doesn’t work and that this scientific evidence doesn’t exist. Of course, the question of how homeopathy works is another matter. And that is where homeopathy courts controversy. It is indeed puzzling that ultra-high dilutions of substances, with few or no measurable molecules of the original substance left in them, should exert biological effects, but exert biological effects they do. There are experiments showing that homeopathic thyroxine can alter the rate of metamorphosis of tadpoles into frogs, that homeopathic histamine can alter the activity of white blood cells, and that under the right conditions, homeopathic sodium chloride can be made to release light in the same way as normal sodium chloride. The idea that such highly-diluted preparations are not only still active, but retain characteristics of the original substances, may seem impossible, but these kinds of results show it’s a demonstrable fact. Surely science should come into its own here – solving the riddles of the world around us, pushing the frontiers of knowledge. At least, that is the science I fell in love with. More of a puzzle to me now is the blinkered approach of those who continue, despite increasing evidence, to deny what is in front of them. In the last few years, there has been much propaganda and misinformation circulated, much of it heralding the death of homeopathy, yet the evidence shows that interest in complementary and alternative medicine is growing. 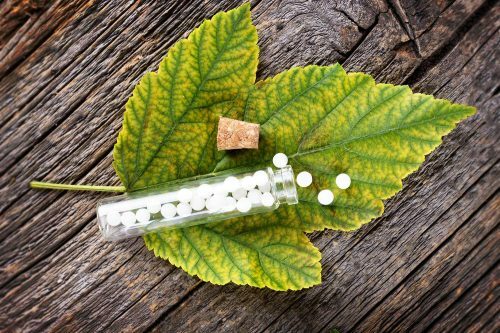 In February, the “sceptics” campaign had a breakthrough – a report from the House of Commons Science and Technology Committee recommended no further NHS funding for homeopathy, despite a deeply flawed hearing. The Society of Homeopaths – the largest body representing professional homeopaths – was refused permission to give oral evidence. Also notable by their absence from the panel were primary care trusts who currently commission homeopathy and representatives of patients who use homeopathy. Yet oral evidence was heard from a journalist previously investigated by the Press Complaints Commission for unsubstantiated criticism of homeopaths, and a spokesperson for a charity that has long publicly opposed homeopathy. It is significant that one of the four MPs asked to vote on the report abstained due to concerns about the lack of balance in the evidence heard. Homeopathy is well-established in the UK, having been available through the NHS since its inception in 1948. More than 400 GPs use homeopathy in their everyday practice and the Society of Homeopaths has 1,500 registered members, from a variety of previous professions including pharmacists, journalists, solicitors and nurses. And yet the portrayal of homeopathy as charlatanism and witchcraft continues. There is growing evidence that homeopathy works, that it is cost-effective and that patients want it. As drugs bills spiral, and evidence emerges that certain drugs routinely prescribed on the NHS are no better than placebos, maybe it’s time for “sceptics” to stop the witch hunt and look at putting their own house in order. It’s all a far cry from the schoolgirl biologist who envisioned spending her life in a laboratory playing with bacteria.